This is a gruesome art-world fairy tale unafraid to face the bitter details of its hero’s tumultuous life. In the New York City of the 1980s, at least according to pulpy retellings of the time, no one could turn a corner without stumbling across a shadowy figure or murder scene. 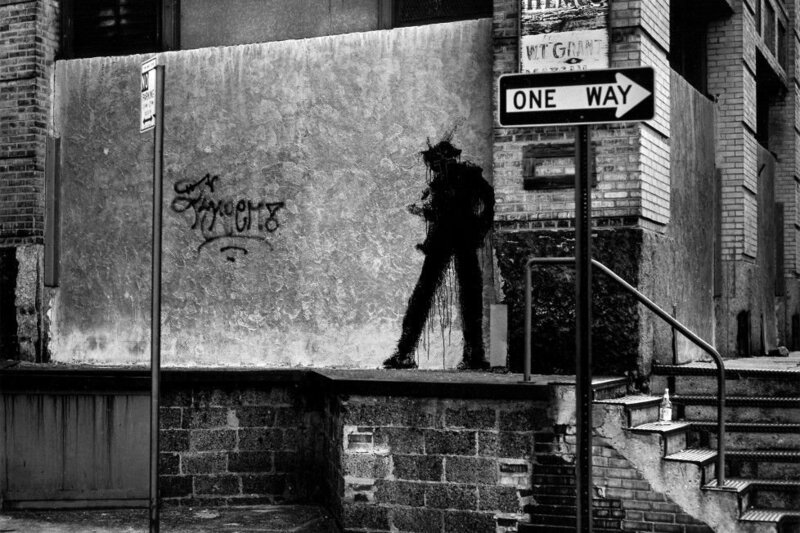 Some of these situations, however, weren’t the traces of actual crimes, but the work of mercurial street artist Richard Hambleton, the subject of the appropriately shape-shifting Shadowman. As the documentary argues, the artist, who passed away just last month, was a pioneer of the formerly edgy, now gallery-approved, street art scene and was once more famous than such contemporaries as Jean-Michel Basquiat and Keith Haring. Told as the story of Hambleton’s rise to fame, followed by his rapid fall into oblivion and then belated resurgence, the film draws on interviews with acquaintances and the artist and archival material that attest to his life and work. Born in Vancouver, Hambleton made his way to New York in the early ‘80s and began working on his signature “Shadowman” images, expressionistic, tar-black figures that he painted on street corners. Oren Jacoby’s film opens with a plunge into the man’s world, with handheld footage of a nighttime venture of Hambleton painting one of these images. (Together, the darkened street and exaggerated, violent lines of his piece suggest a vision of New York refracted though a Weimar cinema lens.) Such work was the product of a high-concept painter whose experiments in street art quickly made him a star in the Lower East Side art scene. By the mid-‘80s, though, Hambleton split (or fell out) with the art world. His heavy drug use and a turn toward more traditional paintings led to a period marked by poverty and isolation. Jacoby’s emphasis on Hambleton’s experience with fame complicates and gives Shadowman its momentum. 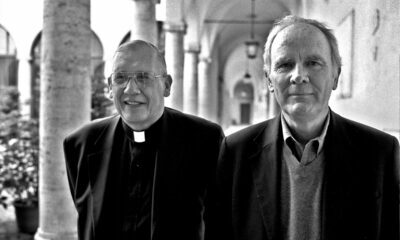 The film’s latter passages, detailing a sickly and meek Hambleton’s return to the spotlight, gnaw with an ambiguous cynicism. One interviewee remarks early on that Basquiat and Haring, whose work is now valued at millions apiece, were wiser careerists than Hambleton for dying young. All the while, the film seems to revel in measuring Hambleton’s final success as a major artist (as of the time of this writing, his work is being exhibited in a show at the Museum of Modern Art) by the increasing value of his work. For a painter roundly neglected by the art world, one who Shadowman so often celebrates for his wayward artistry, whose sole solace was that he did it his way, cherishing his ultimate triumph as the ever more prestigious provenance of his work seems a minor and unfitting reward. It’s a somber reminder that Hambleton’s story is symptomatic of the state of the big-money art world in general; he just happens to have experienced its extremities of dizzy hype and impoverishing neglect. The late painter seems too protean to warrant a simple portrait, so it’s fitting that Shadowman doesn’t merely embrace Hambleton as a would-be star screwed over by a tempestuous industry. He’s presented as an inspired talent, but this isn’t taken at face value. The film rounds out its portrait by facing the grotesque realities and mysteries of Hambleton’s acerbic personality. For every interviewee praising him as a misunderstood Van Gogh of his time, the film underscores his deleteriously uncompromising and shifty, self-victimizing nature. That this question of Hambleton’s genius is ultimately left unsettled speaks to Shadowman’s merits as a gruesome art-world fairy tale unafraid to face the bitter details of its hero’s tumultuous life.